Have you been dissatisfied with your smile lately? Are your teeth misaligned and causing you to figure out alternate ways to smile so you don’t have to expose your teeth? If so, it’s time to consider getting your teeth aligned so you can experience the many benefits they have to offer, especially a confident smile. 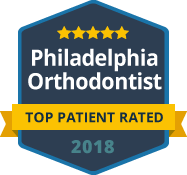 Once you decide that you want your teeth aligned, the next decision you will need to make at Broad Street Braces is which method do you want to use for your alignment. We offer a variety of alignment options so you can choose which is right for your particular needs. Lingual braces are one option Broad Street Braces offers to our patients. 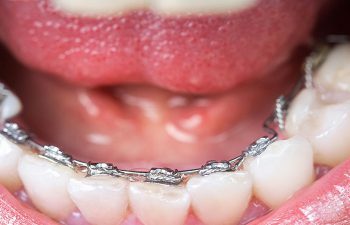 They are another aesthetic alternative to traditional metal braces. Simply put, lingual braces are braces that fit behind your teeth. For this reason, they are hidden so only you know you are wearing them. Lingual braces enlist the help of braces and wires that are custom fit for your mouth and teeth. Their small size ensures they will be comfortable for you and your tongue. 1. They are discreet and hidden from others. 2. You can’t lose or misplace them. They are secured to your teeth. 3. You can maintain a metal-free smile for the duration of your alignment. 4. Lingual braces can help a variety of dental issues. 5. You will remain “Selfie-Strong.” Go ahead and take those selfies without the interference of metal braces. Call Broad Street Braces today and ask Dr.Neil if you are a good candidate for lingual braces.